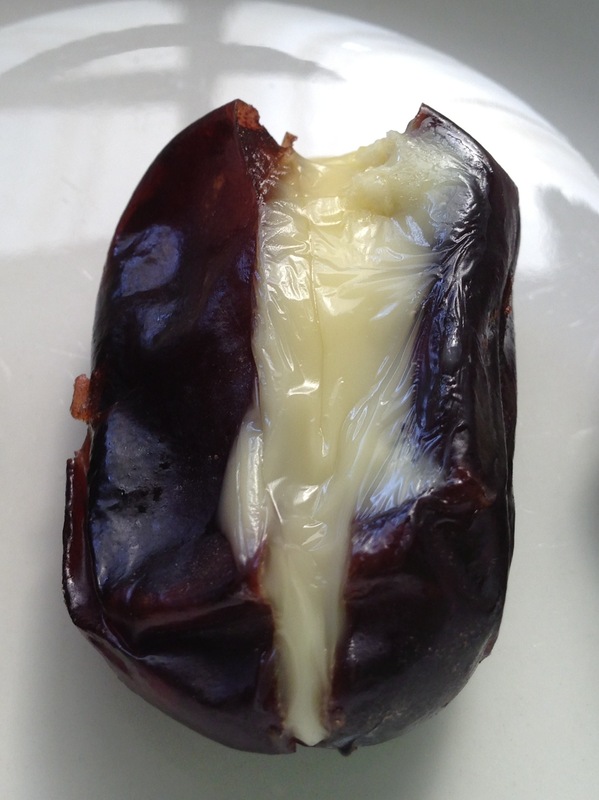 I like it both ways, cold and sweet dates with creamy Brie or warm gooey cheese and caramlised dates. If you’re trying this recipe at home, you’re bound to snack on a few pre-grilled dates, so you’ll get to try it both ways. I’d strongly suggest buying organic Medjool dates, rumour has it that dates from the supermarkets are dried with stacks of sugar, so I would seriously consider giving those a skip! Stick a small piece of Brie into each date. Lay the dates on to a tray lined with baking paper. Stick under a grill until the cheese just starts to melt. I wouldn’t go any further than that as the skin of the dates will start to crisp and I think that it ruins that creamy warm explosive sensation in your mouth. Enjoy!